He's there to DJ. DJ D-Sol in the house! Such a tone deaf alliance from Apple. Full disclosure, I hold stock in both companies yet even I’m not unaware of the many negatives associated with the Goldman Sachs name. Don't get into the CC business. It's filled with scum and villainy. Perhaps true but judging by how every business I encounter (and I mean almost every single one!) wants to offer me one, I suspect there's a lot of money to be made there. Maybe Apple can bring something new and interesting. It's clear they seem to be putting their foot on the accelerator of services. This includes Apple Pay/financial related services. Really bad PR move Tim. Because one is an incentive by credit card companies to join them and they make their money because most people keep balances on their accounts. If I could get cash back on using a debit card to send someone cash via APC then we could just pass money back and forth between accounts on devices to make money. Nothing like getting money from the Fed for almost free and then loaning it out at usurious rates to people with good credit. My USAA Card is 0%. Doubt Government Sachs can beat that. When people think of Apple they certainly think of a co-branded credit card with a big Wall Street bank. Good grief. Cook & Co. are obsessed with so-called “services” and it seems like the focus now isn’t making great products but how can they monetize their customers. Will he be carrying a big bag filled with gold in each hand? Goldman Sachs has offices in 33 major countries. Will the credit card be available in the US only or in all 33 countries? What is loud and clear across the internet these days is that EVERYONE needs to get into services if they want to survive. Apple has always made "after-market" money from their users by selling peripheral products and services that a customer can choose to partake in if they feel it's a good value. Apple would be stupid to not get involved in more services/products if they feel they can somehow make their platform more desirable to their users. Whether you find value in Apple's services or think their products are great or not doesn't matter. If Apple indeed finds a way to provide an improved credit card service with software, will these iOS software features also be made available to Apple's competitors? I can imagine the big banks making a legal case against Apple, like Spotify is currently doing, for monopolistic practices. Spotify's case looks weak, but this case could be stronger. More worryingly, if the banks don't get their way, they might pull out of Apple Pay. Good grief you are so disconnected what we here call reality. Apple: makes the vast majority of its money from hardware sales. Of that most from iphones, which you personally have faulted joining the chorus calling for less dependency. Now they diversify a bit into non-hardware, and what do you do? Complain about that too. Further, you invent a bogus claim that they aren’t focused on making great products anymore, which is really the stupidest thing I’ve read all day. I know you hate this hard truth, but “monetizing customers” is the definition of commerce since the advent of money and trade. Heavens! Yes, they'd have to forbid that inter-personal transactions. Consider starting with gas stations, cash back if you use AppleCash. In short, there's a hugh untapped market where you can undercut Visa and Mastercard bloat which should please both merchants and consumers. Digital cash, with convenience and much smaller spreads. How would that work since APC still goes through Discover Network, a multinational financial network, like MC and Visa? And then you have countless options with Visa and MC in which usually with debit cards (but they can be CC) attached to your APC card for making a payment. Where are you seeing that Discover Network is so much less than MC and Visa that cash back to use Discover and APC to get gas would allow for direct cash back? I believe that there could be a tangible benefit for retailers and card issuers to promote Apple Pay, but that's from an assumed savings for financial instructions due to lower theft from an authenticated device for making a purchase. 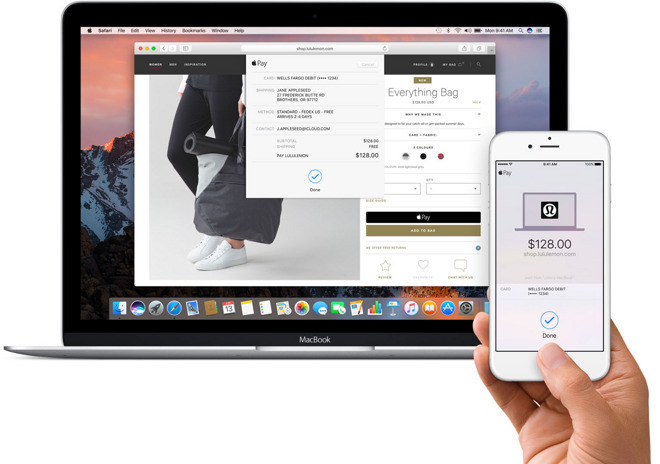 Give the retailer an incentive to adopt and promote Apple Pay buy lowering their transaction fees and give the customer some rewards for using it so that all three parties benefit financially. Well yes, agree with much of that Soli. Apple has gone out of its way to say not competing w Visa. But some day imho that will change. Current cooperation seems pedestrian. I'm thinking Apple chose Goldman to eventually do bigger things with blockchain. Things to disrupt the high fees of Visa, MC, and commercial banks. And Discover and Amex, etc. This is just my speculation. No inside knowledge. Indeed. I’m VERY tired (Canadian user here) of seeing great features then being told “not available in Canada”. How about getting them ready for multiple countries before rollout, Apple? !